This past week, a couple friends and I took an impromptu road trip to the pacific northwest. We made the 1,000-mile trip from Mountain View up to Vancouver, BC, Canada on the first day, stopping twice for gas and also taking an hour or so for dinner in downtown Portland. We had dinner at The Original, where I succumbed to the siren call of the creme brûlée french toast — nom. 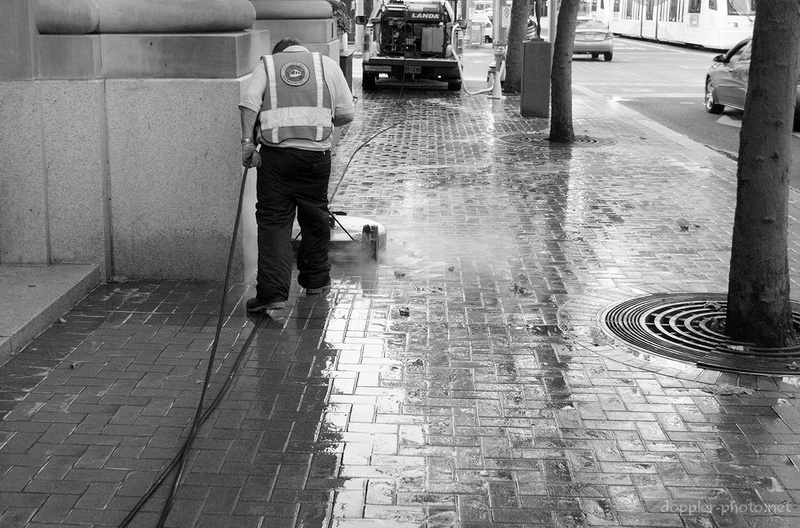 As we departed, I noticed a man using what looked like an oversized rotary floor scrubber to clean the brick walkway outside of the US National Bank building across the street.